Steve Mesple has been proud to live in Louisville, Colorado, even if he finds the “local musician” stigma uninspiring. “Heck, even I wouldn’t go to see a band from Louisville,” the guitarist said. Yet Mesple’s music with his band Wind Machine got attention from the entire country. Wind Machine never met a style it didn’t like, playing guitar-based, mostly instrumental music, which could only accurately be described as “mass fusion.” Its members dabbled in sounds that ranged from blues to bluegrass to jazz to New Age. They utilized a vast arsenal of instruments, ranging from the guitar to the mandolin to the dobro; from the trombone to the electric fretless bass to their own invention, the “guitjo,” a six-, seven- or eight-string guitar with the bass strings restrung with higher pitched treble strings. The sincerity and honesty of Wind Machine’s music could be sensed in the atmosphere of family and friendship that has surrounded the band since its 1986 inception, with Mesple on guitars, mandolin, harmonica, banjo and vocals; Joe Scott on guitars, guitjo and banjo; and Blake Eberhard on fretted and fretless bass and trombones. The predominantly electric first album, Wind Machine Featuring Steve Mesple, and the second, Unplugged, were released independently. But after Unplugged, Mesple was in a car accident during a blizzard near Berthoud. “I was lucky I wasn’t killed. I was smashed by a delivery truck going 60 miles an hour, climbed out the window of my car and got hit by another car. My hands were messed up, and for quite a while I couldn’t hold a pick. My finger would swell up like a pickle. 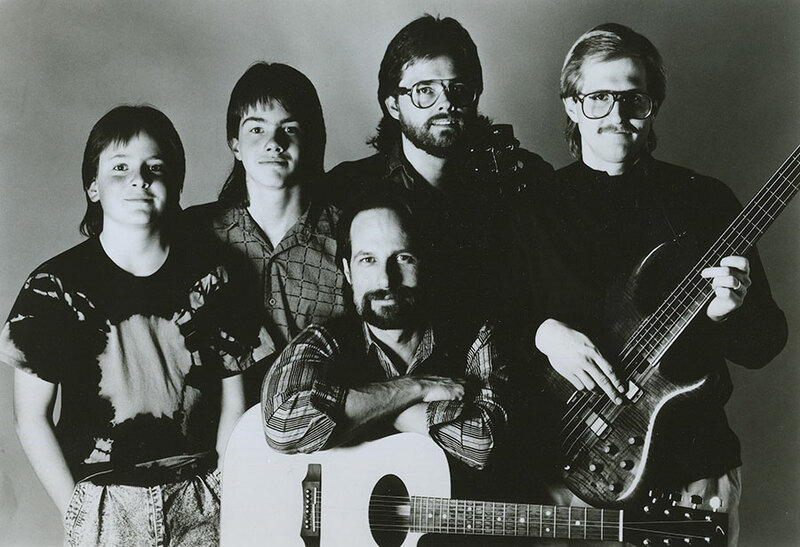 Released in 1989, Rain Maiden put Wind Machine’s signature acoustic style in the national spotlight, with Boulder’s Silver Wave Records offering the band distribution and promotion. For Road To Freedom, the personnel then included the teenaged sons of Mesple, Taylor (keyboards) and Ethan (percussion). Mesple harbored reservations about his boys joining the band, but they shared their bandmates’ dedication. Road to Freedom reached the Top 5 in the major NAC (new adult contemporary) and related radio airplay charts. The title track reached the No. 1 spot in Radio & Records’ Hottest Tracks chart. More than 250 stations played cuts from the record. Wind Machine rehearsed obsessively. “If you want to be a world-class act, you have to make a world-class effort,” Mesple said. But Wind Machine was also a fun group. Concerts often ended with “Eat Your Heart Out, Stanley Jordan,” a tune where everybody played one guitar at the same time. Wind Machine released 13 critically acclaimed albums. The group ended its run in the spring of 1998. At that point Mesple focused on running Wildwood Guitars, his shop in downtown Louisville renowned for its custom pieces.